Yeah yeah, I scoffed too. Scattante? Performance Bike? But if you’re like me and not being paid to ride…..
I’d been getting in shape and didn’t think my 25yr old PUCH steel SLX frame with components from anywhere and everywhere was properly motivating me. I could have resurrected my awesome Steelman frame from my last racing team but then I’d have to buy all new components, wheels and get a frame builder to replace the dropout that was destroyed when I was drafting in a pack of motorcycles and hit a pothole while standing/sprinting on the down stroke which put the chain into the spokes of the Zipp 404 that I’d traded Zipp a photo for which caused the derailleur to attempt an around the world which bent the dropout then locked up the rear wheel, cut four spokes, destroyed the spoke slots on the hub, flat spotted my the tire and may have led to some colorful language… That was the day the PUCH came out of retirement. So like I said I was looking for proper motivation. Whoa. The cost of motivation wasn’t what it used to be. And then I made the mistake of test riding a carbon frame. Can’t. Go. Back. 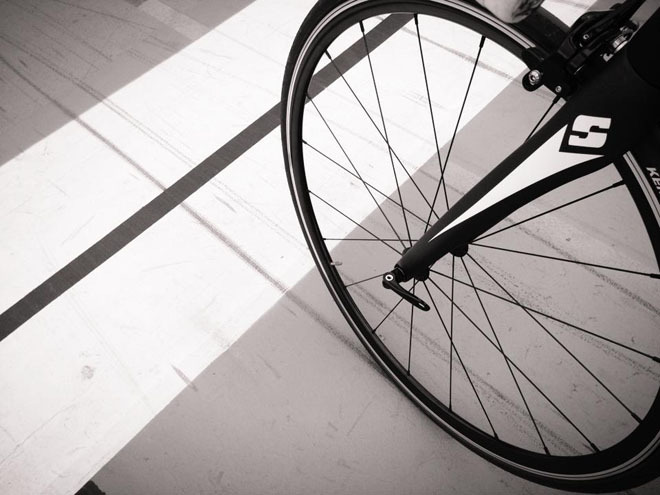 Now I’m stuck looking at $3,000+ bikes and working out the justification for commuting and riding on weekends. You’ve been there. It’s really not that expensive if you think about it. Hmmmm… annual combined costs of a gym membership, weekly therapy visits, buying new clothes to fit my expanding waistline… Yeah yeah that’s it, $3,500 for a f’ing bike is a good deal! There’s motivation and then there’s riding a bike that’s worth more than your car (in my case a 14yr old 1999 Ford Windstar). Then I landed at Performance Bikes taking a Scattante CFR SE out for a spin. A special edition carbon fiber ride at ~30+% less than any major brand I looked at with similar or lesser components. Motivation, justification and reality – hello to meeting in the middle. It also helped that the CFR SE didn’t look like a drunk NASCAR sponsor had painted & logo’ed it. 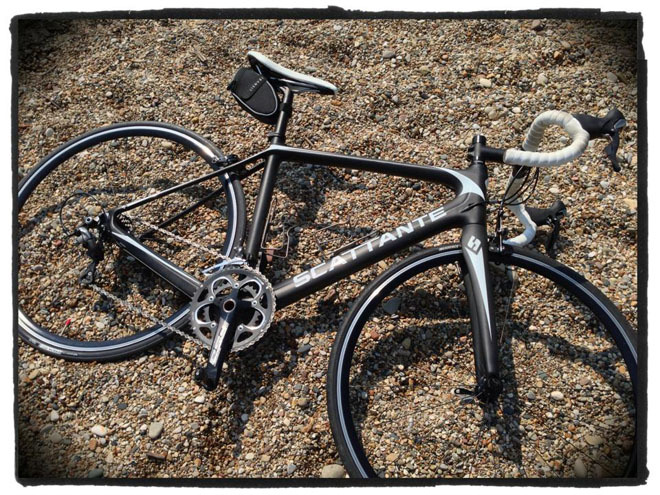 Clean, light, carbon… She went home with me on the second date. FSA Gossamer crank came loose twice within 2 months. Fixed both times while in the shop and has been rock solid since. I got a nice frame fork, levers and derailleurs and can upgrade the rest over time as needed. Strangely even after the issues I had – I’d buy it again. 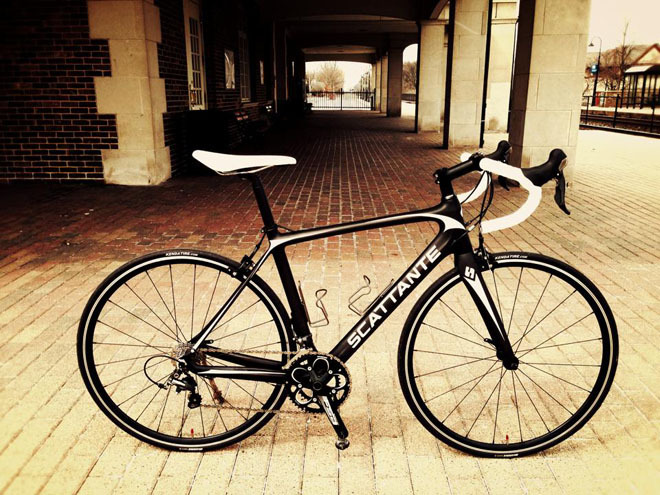 If you’re looking for an entry level training ride or an affordable entry into the next class bike up from what you have Scattante has worked out very well for me. Beautiful bike. No issue(s) with my 2014 CFR LE. Put about 5k miles and still enjoying the bike.